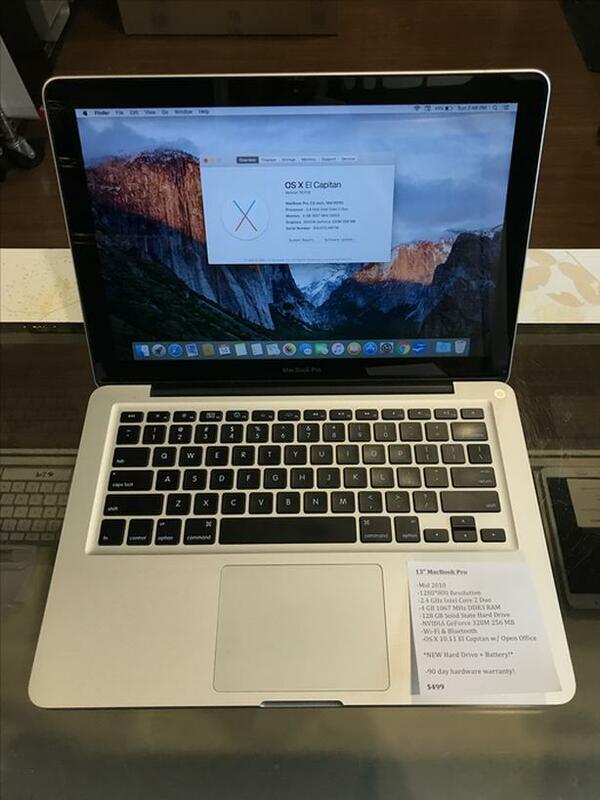  Log In needed $499 · 13" MacBook Pro 2.4GHz Intel Core 2 Duo 4GB RAM 128GB SSD w/ Warranty! We have a 13" MacBook Pro! All of our inventory comes with a 90-day warranty! We take trade-ins as well!